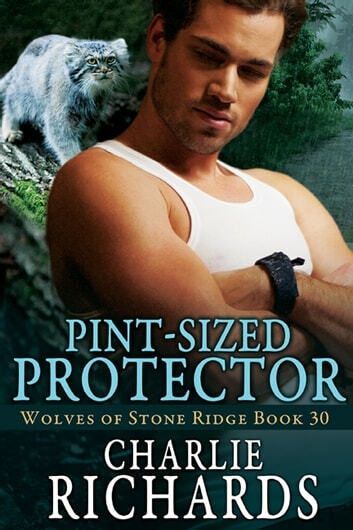 Cayden Rochette works as a negotiator for the Stone Ridge wolf pack. For decades he has worked behind the scenes with his alpha to secure peace for the pack’s future, which often leads to long stretches away from home. After one such assignment, he discovers a cat shifter staying in his house as his brothers’ guest. One sniff is all it takes to realize the small feline is his mate. Still, the Andean mountain cat is a shy shifter recently rescued from years of torture at the hands of scientists. The cat hasn’t even shifted, yet, even after staying with the wolves for weeks. With a little help from the mate-pull, Cayden earns the cat’s curiosity—if not his trust—enough for him to shift, anyway. That opens up a whole new world of questions. Ajax grew up away from shifters and knows little of their ways. Can Cayden convince the solitary shifter of the benefits of staying with him?